The Point-and-Shoot market has evolved substantially within the past few years. Pocket-sized models can shoot better in low light, are faster with up to 10fps full resolution burst modes, have enhanced optics and focusing capabilities, to name a few general improvements. But it wasn’t until the end of last year that we began to see a major shift in the point-and-shoot market: the bigger sensor. Up until then, even advanced point-and-shoot models were saddled with smaller sensors, but that’s not the case anymore. While manufacturers continue to crack the code that enables them to outfit portable, fixed lens models with sensors from DSLRs, we’re only in the beginning stages of the point-and-shoot revolution. That’s why it’s harder to buy a point-and-shoot now than it ever was. I guarantee in a few years, most serious point-and-shoots will have DSLR sensors inside of them. But for now, I’ve rounded up my top point-and-shoot models to prevent you from a bogus buy. These are models that have raised the bar time and again. Some models I’m in the midst of testing, but they are proving themselves worthy adversaries. So, if you need to buy a decent point-and-shoot before the summer, have no fear! Heed my Best Point-and-Shoot list and all will be well. Although I probably shouldn’t be including the Canon PowerShot G1 X in this list, I believe it deserves a place, given its revolutionary background. Currently, the G1 X features the largest sensor ever stuffed in a fixed lens point-and-shoot camera. It’s almost as big as the Canon 60D’s. Because of that, the G1 X is a fantastic still image performer with an amazing high ISO performance. 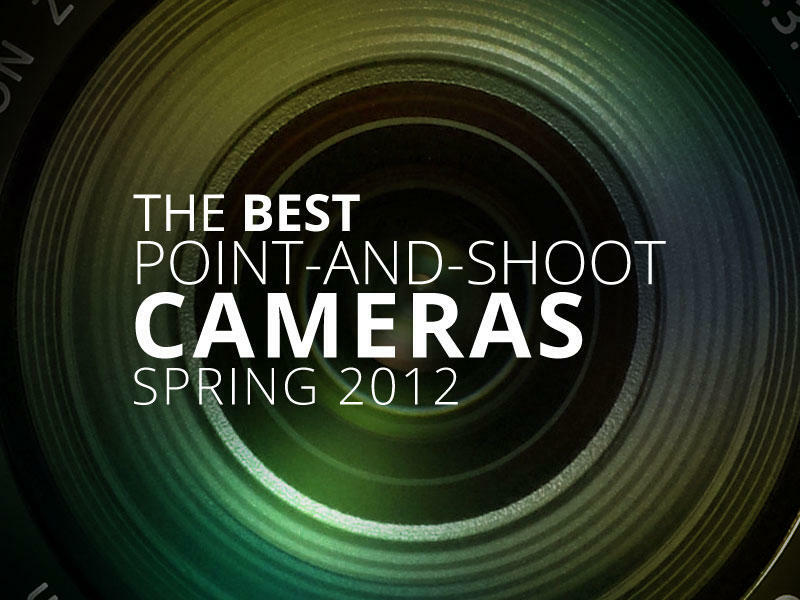 Compared to the #1 camera on this list, both are neck and neck. The G1 X also benefits from a highly versatile design with vari-angle LCD and oodles of bells and whistles. Shooting features are off the charts as well. However, the G1 X lacks any sort of serious Macro ability, and it received the short end of the stick when it came to video features. Video quality was also not what I was expecting, and with an $800 price tag, those issues should not exist. I give credit to Canon for creating an amazing camera for street photography, landscapes and portraits, but I believe the next generation G1 X will be the model to look forward to. This little unassuming shooter is like that James Bond pocket revolver that blows a hole in the side of a building. 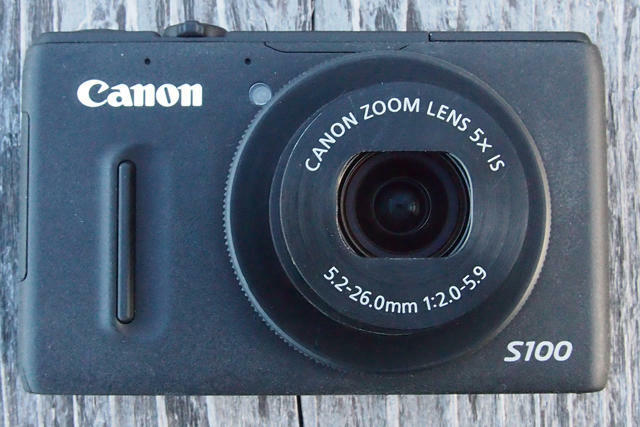 The Canon PowerShot S100 is the crème of the crop in the super compact point-and-shoot world. Although its 1/1.7-inch CMOS sensor does not fall into the large sensor category, the camera is capable of producing very wonderful images that involve great high ISO and stellar all around resolution. The PowerShot S100 also has a crafty little design, utilizing a lens-based control ring that can be designated to adjust ISO, aspect ratios and more. Manual controls are fairly impressive on the Canon PowerShot S100, though the small optical zoom is not that enticing. Regardless, if you’re looking for the best compact point-and-shoot on the market, it’s the Canon PowerShot S100. Although Super Zoom models have not benefitted from the Big Sensor Revolution just yet, they’re still wildly popular in the point-and-shoot market. The ability to zoom into your neighbor’s bathroom is a priceless feature. Although Nikon’s Coolpix P510 has the largest zoom (42x optical), I chose the Panasonic Lumix DMC-FZ150 and Sony Cyber-shot DSC-HX200V because they are both the superior models. Yes, they even trump the Canon PowerShot SX40 HS. The Panasonic Lumix DMC-FZ150 abounds with tons of juicy shooting features, a flip-out vari-angle LCD screen, 24x optical zoom lens and 1080p 60fps HD video recording. The Sony Cyber-shot DSC-HX200V rocks a giant battery, 30x optical zoom lens, tilting LCD screen (not flip-out), GPS, 18-megapixel CMOS sensor and 1080p 60fps HD video recording. Image quality from both the Panasonic and the Sony is highly impressive compared to their peers, and I’d recommend either one of these models. This was another tough decision. The Panasonic Lumix DMC-LX5 has been out for almost two years now, yet it’s still one of the point-and-shoots I recommend most. Why is that? Well, the camera has an excellent suite of camera controls in still and video mode. It’s fun to shoot with, thanks to Creative filters that can be applied in video mode, as well as a robust set of manual controls. But the camera’s 24mm wide-angle f/2.0 lens is one of its shining stars. The camera has a 1/1.63-inch 10-megapixel CCD that produced awesome images and AVCHD videos as well. Although there’s nothing flashy about the LX5’s external design, especially when compared to the Canon PowerShot G12 and Nikon Coolpix P7100, the LX5 is the better option of the three. If Canon can fix the G1 X and Nikon releases a P-Series model with a larger sensor, then the LX5 will be old news. But at the moment, it’s still kicking. Without a doubt, the Fujifilm X10 is the best point-and-shoot money can buy right now, and the X100 is even better if you have over a grand kicking around. I’m just wrapping up my review of the X10 right now, and I can’t believe how much I fell in love with this camera. It’s got a beautifully designed body that was crafted in Japan and reminds me of an old Yashica film SLR. Camera controls abound on the X10, including EXR technology modes that tackle dynamic range, low light and depth of field. But most importantly, the Fujifilm X10 produces beautiful images and videos, courtesy of its 2/3-sized EXR CMOS sensor. The Fujifilm X10 skimps a bit on the optical zoom and has a fixed LCD screen, but it’s got a nice, bright f/2.0 aperture and generous optical viewfinder. Although older models had trouble with the White Orb effect (addressed in my upcoming X10 review), Fujifilm has fixed the sensor so that new models are unaffected. The Fujifilm X10 and X100 are gleaming examples of what point-and-shoot cameras should be.